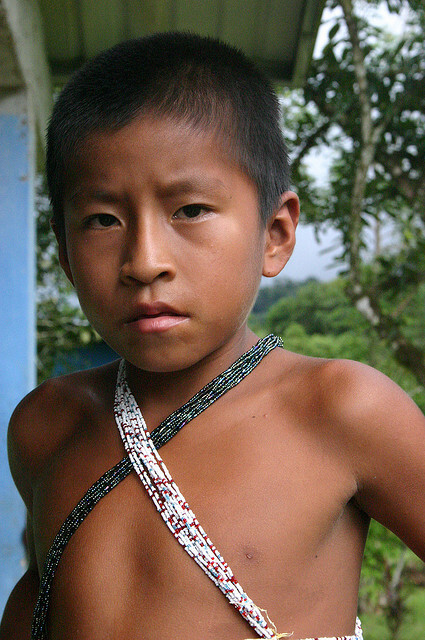 Despite strong economic growth, Panama is plagued by huge economic disparities which affect many children and teenagers, especially those in rural regions and of indigenous populations. Although progress has been made regarding children’s rights, the children and teenagers of Panama remain relatively unstable. Despite positive economic growth, there are large economic disparities in Panama: the gap between rich and poor is increasing. In 2008, 32% of the population lived below the poverty line. Many children and adolescents are directly affected by this lack of equality, especially children in the most far-flung rural regions and those of indigenous populations. Children in Panama are often not registered at birth, usually due to a lack of awareness of the importance of registering every newborn. This is most common in rural areas of the country, and among indigenous populations. It is crucial for every newborn child to be registered at birth, in order to guarantee their citizenship and allow them to take advantage of all of their associated rights and responsibilities. A child who is not registered with the authorities of their country is invisible in the eyes of the State and society. Panama is trying to rectify this situation, however, by disseminating the necessary information to indigenous populations in rural regions. They must follow through better with these initiatives, though. The quality of health care offered to children is worrisome, especially in rural regions and among indigenous populations. Many children only have limited access to basic health care, and may not have any access to potable water and the most basic sanitation services. 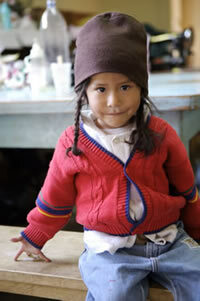 12% of children in Panama are victims of malnutrition. 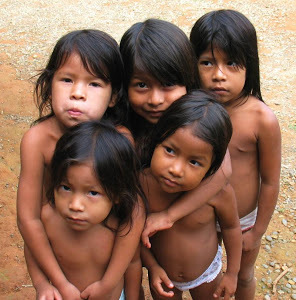 In addition, the infant mortality rate among indigenous populations is incredibly high (between 35.2 and 62.3‰). This is partially due to a low rate of breastfeeding compared to the rest of the region. 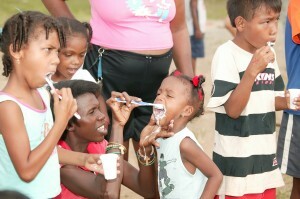 Despite all the efforts and action plans made in Panama to combat child malnutrition, the situation is still troubling. Also of concern is the high number of pregnant teenagers. This significantly high rate is due to a lack of information regarding sexuality and contraceptive methods. There is also a concerning lack of information on sexually transmitted diseases (STDs) in Panama. However, there have been several successful projects over the past few years to supply free HIV/AIDS screening tests for pregnant women. Thanks to these projects, the infection rate among young mothers and their children has been considerably reduced. Still, Panama hasn’t started any AIDS awareness programs that directly target children. This troubling lack of information and awareness campaigns can especially expose younger generations to the virus. The minimum legal age to marry is 16 for boys and 14 for girls. Besides the outright discrimination this creates between boys and girls, these minimum legal ages are too low, and permit children to be married, often without their consent. This practice is a violation of the affected children’s rights, preventing them from free use of their body and choices for their future. 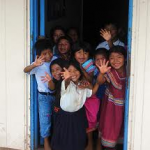 A high number of children drop out of school very early and are never reintegrated into the school system. The drop-out rate is especially alarming for girls because of the high rate of teenage pregnancy. Although there is an existing law, which provides for young women’s reintegration after their pregnancy, these measures are not applied in practice, and these girls often remain outside of the school system. Panama must develop more ways to reintegrate these teenagers, as well as publicly accessible professional training, especially for children who leave school. Several areas of Panama’s juvenile justice system are troubling. First, the age of criminal responsibility has dropped from 14 to 12 years old. In addition, child suspects may be detained in terrible conditions as a preventative measure. Panama does not have enough protection for children or run any inspections into the detention conditions of minors, which leaves the door wide open to any number of children’s rights violations. We are appalled to report that children are sometimes working as early as 5 years old, especially in rural regions. Panama has set the minimum legal age to work at 15 years old. In practice, however, the State continues to apply the minimum age set by a prior law, at 14 years. In addition, the government often grants exceptions for agricultural and domestic work for children from 12 to 14 years old. 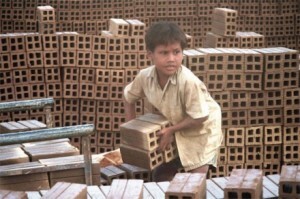 Despite a few projects to combat this practice, child labor is very common in Panama. Panama does not have any work inspectors, which prevents the government from being able to adequately protect children. Unfortunately, trafficking of women and children is a reality in Panama. Although prohibited by law, the trafficking of human beings is neither prosecuted nor punished by the judicial system in an efficient manner. Those who commit these types of crimes are very rarely arrested and sentenced for their actions. Children from indigenous populations and those who suffer from physical or mental handicaps are often victims of discrimination regarding access to health care, education, and other basic services. These children are also often seen as future delinquents by police forces. Domestic violence is a recurring problem in Panama. Corporal punishments against children are not forbidden by law, and are seen as an integral part of their education.